Nonprofit organizations are a huge component in the world today. Their diverse applications in disaster relief, education, health, economic development, and environmental conservation have made it almost impossible to think of a world without them. By engaging donors, organizations can gain funding and educate the masses improving the quality of life for many. Over the years, nonprofits have grown to over 10 million different organizations across the globe. In the US alone, there are more than 1.5 million nonprofit organizations registered as public charities, private foundations, civic leagues, fraternal organizations, and chambers of commerce. 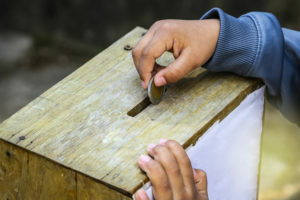 One of the most important tasks of non-profits is fundraising. Is Going Mobile The Solution? Your non-profit probably already has a well-designed website, a Facebook page, and a Twitter account. If it doesn’t it should. While social media leverage is critical for a nonprofit organization, there is more to explore. Today, almost everyone has a mobile phone. Over 60% of all searches in the top search engines, such as Google, are made from smartphones. Having a mobile solution is the logical next step for the organization to reach more people and spread the organization’s mission. A carefully, custom crafted mobile app will raise brand awareness, creating a recognized brand both locally and internationally. In particular, it will help with engaging donors for direct revenue generation, enhance user acquisition, and provide additional features for all users. Most non-profit apps are crafted to help gather important data about all their donors. Instead of doing it manually or simply guessing, an app’s onboarding process can collect all the donor information for easier segmentation. Because you’re in full-time communication with donors, it’s easy to obtain additional details and segment them based on individual interests. The basic principle of any nonprofit organization is making all supporters feel like they are contributing to the greater good. Using an app helps to engage donors for a monthly giving program by making them feel part of the organization. For instance, a donor with interest in conservation can join a nonprofit organization and contribute by suggesting ideas for conservation. The app is a special way to stay connected with the respective projects, supports, and even link with researchers. What is the best way to get discovered online? Well, many will say it’s penning content. This is right. However, content will not be enough without having an app in the App Stores. Though the organization is a nonprofit, you need to take a business approach when it comes to followers and donor acquisition. By ensuring your app is in different App Stores, more people will discover the organization from there and become part of your community. When donors and visitors to your organization link with you, they have different objectives. Unlike static websites, apps provide an interactive platform for donors. For example, donors can follow specific projects, participate in decision making, access financial records, and even engage experts to ensure their cash is going to a worthy cause. For a non-profit to sustain its operations and remain relevant to society, fundraising must form the core of its operations. Unlike other third-party platforms that come with huge limitations, using your own app lifts the lid. Supporters can donate straight through the app, and due to its ease, there’s a higher chance of multiple and ongoing donations. Apps allow for quality streamlining while providing more information to target donors and transferring money safely. The dangers of online security threats have never been as imminent the way they are today. While third party applications might also have invested in enhancing their software security, you are not in control. However, developing a non-profit app allows you to operate a full-fledged security unit with regular updates to build reliability and assurance to donors that you have their security in mind too. The process of raising funds for nonprofits is Herculean. For an organization that does not run any business to get profits, engaging donors and convincing them the cause is worthy, demands proper planning, coordination, and articulate communication. These organizations have been using mobile apps to complete all these tasks, and are already seeing huge success. This environmental foundation is the love child of the digital world and charitable organizations. Using digital mediums such as the internet and an app, this foundation allows users to donate instantly to help restore forestation by way of planting trees. The 1Heart1Tree app is remarkably user-friendly and makes donating effortless. The reward for donating is the donor’s name will be displayed through a virtual forest projected on monuments, such as the Eiffel Tower. Since its inception, 1.3 million people have streamlined to view the digital forest. The 1Heart1Tree app was voted the number 1 app in France for the year 2016. As of 2016 there have been 55,000 trees planted with donors stemming from 135 different countries. The app is a free download and donations start at $10. Earth is placed perfectly in the solar system as it contains the right balance for life to flourish. The Explore.org app is a live feed platform that showcases wildlife and natural settings. Passionate film makers, scientists, and nature lovers have created a digital savvy nonprofit organization that offers followers, like you and me, a window to the beautiful, natural world right from our smartphones. You can tune in from hidden cameras placed in remote areas around the globe. Live feed and films include wildlife such as lions, bears, bats, bees, and birds. The app is rated at almost 5 stars, their Instagram following is at 148k and the organization is very active on the digital front. Explore.org has exhibited a digital presence that is relevant. Explore.org is a subsidiary of the Annenberg Foundation Space for photography. The foundation supports Explore.org to inspire passionate explorers through film, photography and the stories that follow. Explore.org has awarded over $15 million to nonprofit organizations around the world and is the number one network for nature live streaming. And it’s all free. To aid in bringing mobile applications to our community Non-Profit Organizations, Magik Digital will be donating the design and creation of a Mobile Application to a local Non-Profit. We are looking for nominations. Please send us information to info@magikdigital.com on any Local Area non- profit you would like to nominate!